zero-one wrote: This kind of statement reminds me of anti-F22 and F-35 proponents who said that Eagle was already good enough to meet future needs. - Some of those "anti-F22 and F-35 proponents who said that Eagle was already good enough to meet future needs" were making a future prediction. Despite on how unfeasible such prediction is/was at least there's something playing for the side of these people: No one can know the future with full certainty. As opposed, my statement is totally the opposite which was based on past and historical evidence! zero-one wrote: No just stop. Col. Fornlof himself said that the Su-30 is alreadly a bit better than what our 4th gens had. He was already refering to F-15s with AESA. Which is why we need to have 5th gen.
No, you stop and first of all when posting such comments and in this case of quoting a serviceman which is what you're doing here could you care to post exactly what he said? It's not the first time what you quoted that serviceman - which by the way is he a pilot or does he have any other role? his service, I assume it to be USAF, no? - you also quoted him in the F-15X thread. Anyway, it is important to know what were Col. Fornlof's exact words since without knowing them, I obviously cannot comment them. What I can comment is what I researched and know about the subject and everything that I read, heard and watched indicates that there's absolutely no way that the the Su-30 which was first introduced in 1996 to be as advanced as its direct counterpart of that same era which was the F-15E Strike Eagle, this again in the 1990's - And I'm already referring to the F-15E withOUT AESA. The Su-30 when entered in service in 1996 was probably among the first Russian fighter aircraft to have cockpit displays with MFDs - you know that "thing" that the first Hornets already had at least 15 years earlier than the Su-30 and that the F-15E already had since the late 1980's?? Now if you or someone else is trying to compare the agility of the F-15E with the Su-30 that's an another matter of discussion which I don't feel going at it right now - what you compared/mentioned above in the post of yours which I quoted was technological advantage and not aerodynamic advantage. Or, if someone is trying to compare the Su-30 with the F-15C that's IMO not a valid comparison either since the Su-30's direct counterpart would be the F-15E and not the F-15C. zero-one wrote: So this talk that the F-15 was more advanced than the Su-27 in EVERY way needs to stop. I'll repeat it again. The F-15 has key advantages in SOME AREAS. - When you are proven wrong about a point you need to stop twisting words in order to try to always come on top. These arguments/discussions are a not a competition. This is a learning process - at least to me it is. - An evidence that you're actually twisting words is on the quote above: Absolutely NO ONE said that "F-15 was more advanced than the Su-27 in EVERY way" - This is you saying that or "better yet", accusing others of saying what again no one did. Another evidence was your posts in the "F-35 vs Typhoon" thread which ended up being locked (in part thanks to your "stubbornness", I believe). Basically everyone else, including very respected members such as Hornetfinn and Spaz proved you wrong but yet you continued to twist words and narrative in order to get some sort of a twisted "upper hand". When proving wrong just try admitting that! I'll guarantee that you'll feel better and better yet, in the process you'll learn more. The bottom line of all this: what I commented and disagree about your post was about the "technological advantage of the Russians in the 1990's" and for me a technological advantage is centered on sensors (Radars, EW/ECM), comms, displays (again MFDs and their pages), etc... and here the Russians were NOT more advanced - not in the 1990's, not earlier and certainly not after! In case you wish continue this discussion by going into aerodynamics then be aware that I won't go that route. must of missed the part when this happened. Hey lbk0000 still waiting for your reply buddy. "F-35 vs Typhoon" thread which ended up being locked (in part thanks to your "stubbornness", I believe). Basically everyone else, including very respected members such as Hornetfinn and Spaz proved you wrong but yet you continued to twist words and narrative in order to get some sort of a twisted "upper hand". Wait a minute, I was the one carrying the narrative shared by the admin which is that the F-22 is better for AA than the F-35. I was not the one saying that the F-35 was stealthier, or some how better for AA than the F-22. Which was what most of who the admin calls "F-35 fans" kept doing. So why is this my fault. We have some very respected members here but some of them can be wrong just like us. I remember the times when Scorpion1Alpha would publicly scold Spaz for misinformation. Thats not a knock on him. His words still have a lot of weight for me. Its just his opinions that I won't agree with at times. Same goes for everyone. ricnunes wrote: : what I commented and disagree about your post was about the "technological advantage of the Russians in the 1990's" and for me a technological advantage is centered on sensors (Radars, EW/ECM), comms, displays (again MFDs and their pages), etc... and here the Russians were NOT more advanced - not in the 1990's, not earlier and certainly not after! Well I'm agreeing to that. The context I was talking about on that post was on the EM chart which I believe the Su-27 is aerodynamically superior to the F15. And if a war happened in the 90s and somehow the Russians could afford it. The 90s would have been the only time in history where Nato planes would be at a disadvantage in WVR. The advantages we had in BVR were good but the Flanker isn't a whimp at BVR as well. Thats all I was saying. So there's a snowball chance in hell that the Soviets/Russians had any technological upper hand in front line air superiority fighters like zero-one claims. This kind of statement reminds me of anti-F22 and F-35 proponents who said that Eagle was already good enough to meet future needs. No just stop. Col. Fornlof himself said that the Su-30 is alreadly a bit better than what our 4th gens had. He was already refering to F-15s with AESA. And if you're gona quote me, remember how I said that the F-15 held some.advantages over the Flanker series as well. If you watch the Russian documentary there is a part there where he says that in the past the past with the Mig-17s and 19s they're strategy was to outnumber Nato aircraft 8 to 1. They knew they had no chance 1 on 1. Then with the Mig-23 this was reduced to 4 to 1. Finally the Flanker and Fulcrum gave them the ability to engage 1 on 1. So this talk that the F-15 was more advanced than the Su-27 in EVERY way needs to stop. I'll repeat it again. The F-15 has key advantages in SOME AREAS. When it comes to avionics/sensors/systems, the F-15 had always maintained an edge over the Flanker. Where parity/superiority occurred, was in certain parts of the flight envelope, and prior to JHMCS/AIM-9X. US jets were at a WVR disadvantage, when they had AIM-9L/M vs Fulcrum/Flankers with HMS/R-73. They still had a BVR advantage, with AIM-120 vs R-27/77, though. Above 'zero-one' said: "...I remember the times when Scorpion1Alpha would publicly scold Spaz for misinformation...." Now that is an interesting claim for me to investigate/remember however 'nothing found' here - please elaborate. spazsinbad wrote: Above 'zero-one' said: "...I remember the times when Scorpion1Alpha would publicly scold Spaz for misinformation...." Now that is an interesting claim for me to investigate/remember however 'nothing found' here - please elaborate. That was a long time ago buddy. All I'm saying is that we're all human and make mistakes. I'm certainly guilty. Like he said, we all learn, shrug it off and move on. Last edited by zero-one on 07 Feb 2019, 22:09, edited 1 time in total. 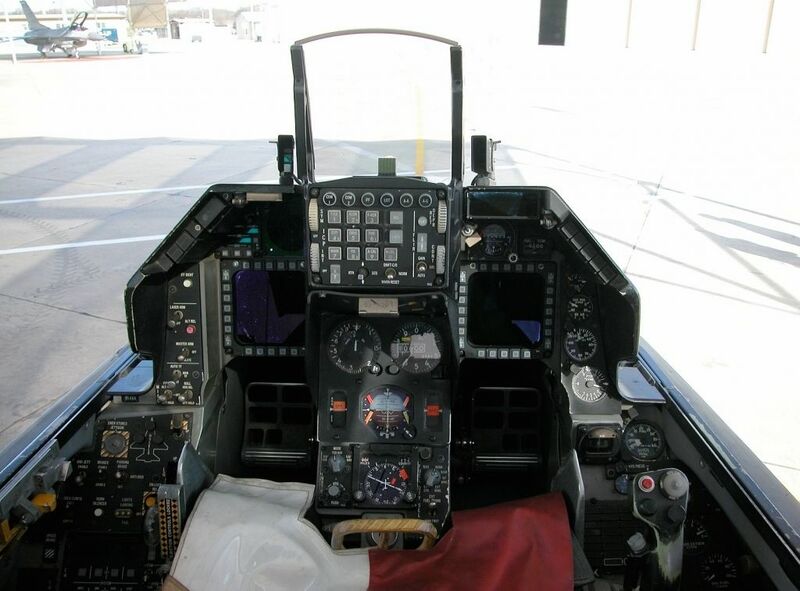 wrightwing wrote: When it comes to avionics/sensors/systems, the F-15 had always maintained an edge over the Flanker. Where parity/superiority occurred, was in certain parts of the flight envelope, and prior to JHMCS/AIM-9X. US jets were at a WVR disadvantage, when they had AIM-9L/M vs Fulcrum/Flankers with HMS/R-73. They still had a BVR advantage, with AIM-120 vs R-27/77, though. Thank you. This is what I should have said in the first place. This never happened in any era before. In the 50s the F-86 was hands down better than the Mig-15, in the 60s the F-4 was better in BVR and in WVR once they learned how to use it, so was the F-8, 70 and 80s the teen series was better than anything the Soviets had. But then in the 90s the Su-27 was arguably better BVR than the Low end teen series fighters and better in WVR in most cases than the high end fighters. That was a long time ago buddy. All I'm saying is that we're all human and make mistakes. I'm certainly guilty. Like he [Scorpion1Alpha?] said, we all learn, shrug it off and move on. Hang on. You like to quote people without any reference to what they may have said - other than your memory - which may be faulty n'est-ce pas. You like to tell us you remember the bold part though. So where is the MISINFORMATION? zero-one wrote: Thank you very much lbk000. I hope you don't mind if I have some questions related to your excellent post. You may already be familiar with this video where Flanker recount beating F-15s quite easily in a defensive BFM set up. The way he describes it, the F-15 is unable to maintain E in a climbing turn and after 1 and a half turns finds itself in front of the Flanker's HUD. This was similar to a story a former Viper pilot told me. they perform a defensive BFM set up where the Eagle starts off behind the Viper, after 1 and a half turns the Viper is behind the Eagle and the assumes the offensive role. It seems that the Eagle is really at a disadvantage against unstable, high T/W ratio designs. So I'm skeptical as to how it can replicate an aerodynamically superior platform. Twice in the last month there have been threads on HyperScale’s Discussion Group talking about Flankers fighting Eagles in Summer 1992 and having their lunch. I was surprised, first of all, that I had never heard about this before. I flew Eagles in the 94FS at Langley, which was the squadron that went to Russia then hosted them when they visited the U.S. With my usual impeccable sense of timing I managed to leave the squadron shortly before all this happened, but I still personally knew, and had flown with, 90% of the pilots assigned to the squadron at the time and 100% of the pilots that flew in these exchange visits. Somehow in the 10 years that have passed they had failed to mention to me in numerous conversations about this very subject that any DACT occurred - I don't think so! In addition to still flying for the Air Force Reserve I work as an F-15 sim instructor at Langley; which means I'm current on the latest F-15 programs and performance. Surely there would be some record (classified or unclassified) of this apocryphal event and the lessons learned if the Eagle had been beaten so badly. There isn't. Period. Dot. After reading the last thread I decided to check it out. Rather than relying on hearsay, I contacted three pilots with whom I was stationed at Langley. These pilots flew in Flanker backseats, gave Russian pilots Eagle rides and flew Eagles in formation with the SU-27's and are still flying the F-15. I passed on the Air Forces Monthly "story" as quoted and, after they had stopped laughing hysterically, they told me was this: the amount of DACT that took place between Eagles and Flankers in Summer 1992 was...NONE, nada, zip, zero, nyet, a big doughnut. DACT was not just frowned upon or discouraged; it was forbidden, for two main reasons. Nobody wanted the political heat/fallout that would result if one of the jets went out of control and crashed or, worse, if they had a mid-air in the hard manoeuvring that DACT implies. Second, despite recent warm feelings toward the Russians nobody was going to allow anything remotely classified to be passed on, so the F-15s were flown radar, TEWS, PACS panel, ICS off. When all your weapons systems are turned off it becomes pointless to fly DACT, unless you're planning to recreate WWI, WWII, and Korea by fighting guns only. In which case give me an A-10 that can turn up it's own a$$ and has a big gun. What actually did occur (and probably formed the loose basis for this "dramatic story") was that, in addition to single ship backseat rides, the F-15's and SU-27's went out and flew tactical formation with each other (line abreast 1 to 2 miles apart with 2000 to 3000 feet vertical spacing). During 90 degree turns in this formation one aircraft turns first and passes 3000 to 4000 feet through the 6 'o clock of the second jet to go, at which point that second jet starts its turn in order to roll out line abreast but with both jets pointed 90 degrees off the formation's original heading. During one of these turns the Flanker, rather than continuing to the expected heading, stopped at the Eagles dead six for 3000 feet. After several seconds of wondering what the Hell the SU-27 pilot was doing the F-15 pilot spent 20 seconds trying to shake him and was unable, and then stopped, which proves? Basically nothing. In the fighter community nobody starts 3000 foot perch setups at the defender's dead six, because staying behind somebody after that kind of start is on a par with clubbing baby seals in its level of difficulty. Instead the offender actually moves to the defender's 4 or 8 'o clock for 3000 feet before starting the fight. Even then in this more difficult setup the offender still stays in an offensive position 95% of the time. The 5% he doesn't is usually a result of him grossly porking up his BFM. It should be emphasized this was a single event, unplanned, unexpected, and half-heartedly done and not some series of "mock dogfights”. As Paul Harvey says "that's the rest of the story" straight from participants in the event not some second, third, or fourth hand magazine article or internet rumor which just repeats what somebody else wrote. In the future if you want to argue the merits of the two aircraft please spare us the repetition of this non-event as proof and stick to comparing them based on their airframe/weapons performance as published. zero-one wrote: must of missed the part when this happened. Hey lbk0000 still waiting for your reply buddy. As there were also other posts which I would like to have replied to. But in case you haven't notice "buddy", that thread was locked in the meanwhile and BTW, in good part due to your "efforts"! The only F-86 variant that was considered to be better than Mig-15 such as the improved Mig-15Bis variant was the F-86F. The previous variant - the F-86E - approached the performance of the Mig-15s but was still generally inferior while the F-86A (the first Sabre to see combat over Korea) was clearly inferior to the Mig-15. Early variants of the F-86 could not outturn, but they could out dive the MiG-15, although the MiG-15 was superior to the early F-86 models in ceiling, acceleration, rate of climb and zoom. With the introduction of the F-86F in 1953, the two aircraft were more closely matched, with many combat-experienced pilots claiming a marginal superiority for the F-86F. zero-one wrote: in the 60s the F-4 was better in BVR and in WVR once they learned how to use it, so was the F-8, 70 and 80s the teen series was better than anything the Soviets had. Here, I agree with you. zero-one wrote: But then in the 90s the Su-27 was arguably better BVR than the Low end teen series fighters and better in WVR in most cases than the high end fighters. As others already told you, the advantage of the Su-27 and by extension the Mig-29 in WVR compared to NATO fighter aircraft was due to the Helmet Sight/R-73 "combo". As such, if the Helmet Sight was removed from the Su-27 and Mig-29 (while the R-73 missiles could even stay) they would lose their WVR edge. So what actually restored the NATO edge in WVR was Helmet Display/Cueing Systems such as the Joint Helmet Mounted Cueing System (JHMCS) together with missiles such as the AIM-9X and ASRAAM in which both systems were far more advanced than their Russian counterpart. Aircraft like the F-22/35 and Eurocanards only increased the edge that NATO already had even in terms of WVR air-to-air combat. And with hundreds and eventually thousands of F-35's rolling off the line, that edge gets even greater. Although we'd all like to have more F-22's, the F-35 will have to do. I'm convinced it'll be very effective air to air, although not AS effective as the F-22. We are fortunate LM designed as much "oomph", maneuverability, stealth and SA into it as they did. The more you learn about it, the more you realize what a tremendous engineering accomplishment it really is.. It wasn't just that, unlike previous generation of fighters the Su-27/Mig-29 had parts of the envelope where they were actually at an advantage. So yes, that, coupled with the R-73/helmet combo gave Russian fighters an advantage against the American fighters for the first time. If you're implying that the helmet/missile combo was their only advantage, does that mean Mig-23-98 and the Su-27 are in the same league? I agree with that. The F-22 doesn't have the helmet yet though but there are reports here from various members saying that Raptor pilots have said to them in their faces that the F-22 is hands down better in WVR, no question. Yes, of course that the Su-27/Mig-29 had parts of the envelope where they were actually at the advantage against their USAF counterparts, the F-15/F-16. High AoA maneuvering is a very good example. Actually in this part the only US Aircraft that matched and surpassed the Su-27/Mig-29 was the F/A-18 Hornet, this during that era. So when I read some posters saying that the F/A-18 (namely the F/A-18C with the more powerful engine) is perhaps the most underrated fighter aircraft in the history of modern fighter aircraft, I fully agree with this! However even when comparing the F-15/F-16 with the Su-27/Mig-29 there are also other parts of the envelope that the US fighters are in advantage, namely in terms of energy maneuvering. Together with this, the US aircraft (F-15/F-16 and the F/A-18 as well) had the technological advantage in terms of better Radars, RWR and EW defensive suites and cockpit displays. And lets not minimize the later (cockpit displays) since this drastically reduces the pilot workload which makes him/her much more effective even during WVR combat/dogfight, this compared with the cockpit displays of the Su-27/Mig-29 which vast majority was composed by analog instruments/displays. 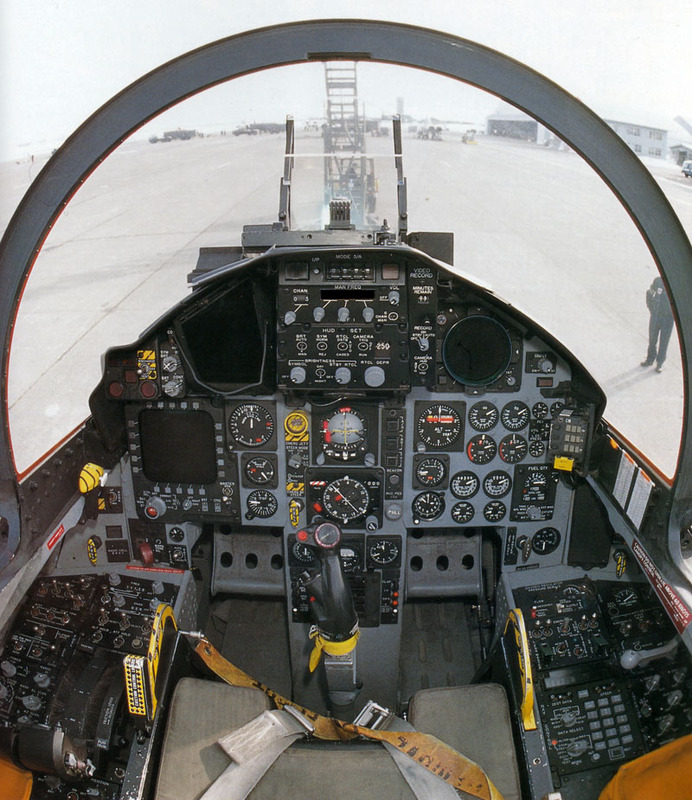 Note that even the F-15C cockpit being quite more "retro" compared to the F-16C cockpit and as such somehow more dependent on analog instruments/displays it still had a single MFD (on lower left part of the front/main panel) while the Su-27 and Mig-29 of that era didn't have any. This makes the US aircraft far more combat effective due to the reasons that I mentioned above and all of this is all about technological advantage. As such, what would have made a really big diference in potential WVR air-to-air combat in favor of the Soviet/Russian aircraft during that era was indeed Helmet Sight/R-73 "combo", this much more than any advantage that the Su-27/Mig-29 might or could have in some parts of the envelope. NO, obviously no and I never said such thing! Resuming, while the Su-27/Mig-29 have indeed parts of the envelope where they are actually at the advantage over the F-15/F-16, the truth is that the F-15/F-16 also have the advantage on other parts of the envelope. Now in a Su-27 versus Mig-23-98 there are no parts of the envelope that I can remember of where the Mig-23 could have an advantage over the Su-27. So i'ts a completely different comparison here. And just because the F-22 and 35 are here, it isn't a moot point (F-15 and 16 hold important advantages). We will be operating a mixed 4th and 5th gen fleet for decades to come. The important think is that the F-35 has restored the quantitative and qualitative advantage. Tremendously so. Prior to this our F-22's were head and shoulders above any Russian counterpart(s). But they were small in number, alarmingly so. We now have hundreds and soon thousands of F-35's. And the advantage they convey over foreign (especially Russian) jets isn't just a little bit... it's a whole lotta' bit. Much greater than the F-14, 15, 16 and 19 conveyed vs. their Mig-21, 23, 25 and even 29 counterparts. Big Sukhoi's with their big radar signature are in for a long day, penultimate Flanker (SU-35) or not. I would not want to be stalked by Panthers. Has to be unnerving, to say the least! Big Sukhoi's with their big radar signature are in for a long day, penultimate Flanker (SU-35) or not. Irbis-E powerful though it is will also be like a lighthouse to RWRs and will undo any RCS benefits they achieved. The Su-35 is a brute force approach, they really do need a working Su-57 to have a serious chance.